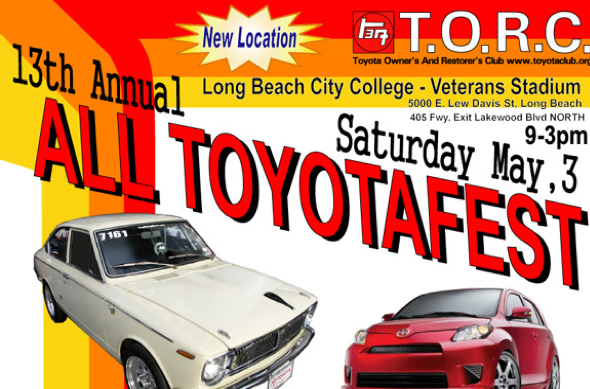 Just a quick reminder, the 13th annual All-Toyotafest is tomorrow, May 3. There’s a new location this year, at Long Beach City College’s Veterans Stadium, so don’t go showing up at the Queen Mary wondering where everyone went! JNC will have a booth there, so stop and say hi if you’re in the area. It’s a must-see, especially for fans of old school ‘Yotas. Doors open a 9am sharp. See you there! For more information, visit the TORC website. This post is filed under: events, jnc, toyota.